When expats talk to us about why they moved to Costa Rica, they’re sure to mention that they were drawn in by the beauty of the country. With both a Pacific and a Caribbean coast, dramatic volcanos, rain forests and cloud forest, and the largest variety of wildlife in the world (like toucans, howler monkeys, sloths and turtles), it’s easy to see why. They tell us about the high quality of life they enjoy at an affordable cost. They praise the first-class, comprehensive health care from just $30 a month, which covers everything: from prescriptions to doctor visits to testing to surgeries. At the local ferias (markets), they say, they fill their basket with the freshest produce: mangoes when in season, $2 for 6 pounds…pineapples for $1.30…tomatoes, 50 cents per pound…bunches of herbs like basil, cilantro, and mint—for about a quarter. They buy fish right off the boat—snapper for $6 a pound, tuna for $7.50 a pound. But though they’re happy about all those advantages, that’s not what they love most about Costa Rica. What really stands out about all those expats is how they’ve taken the “Pura Vida” attitude to heart. What is “Pura Vida”? It’s the name given to the happy-go-lucky, easy-going nature of the Costa Rican people. Translated as “pure life,” it’s an attitude that all of the expats we’ve spoken to have adopted. They’ve simplified their lives…cut back the stressed-out, over-scheduled lifestyles they once had in the U.S. and Canada…and now take the time to enjoy their days. Take Anna Fishel for example. At 62, she was tired of her work-to-live, stressful job. So she took the leap and bought a home—on just under an acre of land—in a small village in the jungle. Today, her time is her own…and she spend her days doing whatever she feels like doing. Former ad executive Brett Schroeder’s blood-pressure was out of control when he lived in Texas…and the constant pressure to have the latest and most expensive gadgets was wearing on him. So he gave it all up to give surfing lessons in Esterillos Oeste, a sleepy beach town on the Pacific Coast. He’s much happier these days…and spends his spare time giving back to the town that welcomed him. “The most rewarding part of my life now has been getting involved with the community—beach clean-ups, coordinating the lifeguard program, and being a leader in the Pura Vida Church. He’s not the only person to find Costa Ricans to be so accommodating and hospitable. As Marika Ripke discovered, this country is not just one of the most beautiful in the world—it’s also one of the most welcoming. “Native Costa Ricans (or Ticos), are a big part of what makes Costa Rica such a popular place to visit and live,” she says. “Ticos are known for their love of the “pura vida”—a philosophy that refers to the friendliness and laid-back attitude of those who live there. But that doesn’t mean you can’t stay connected to the folks back home. Just ask our Costa Rica expert, Jason Holland. 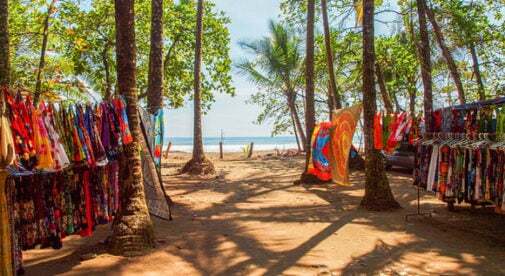 All of these benefits add up to a more laid-back life in Costa Rica. And if you’re thinking about making the move, we’re about to make that easier, too.